My friends are extraordinarily happy that I decided to feature seeds for the Wild Things foraging recipe challenge this month. It isn't often that I bake, and I'm not much inclined to eat the resulting dessert treats when I do. This has meant that my loved ones have scored a whole lot of sweet goodness this month. 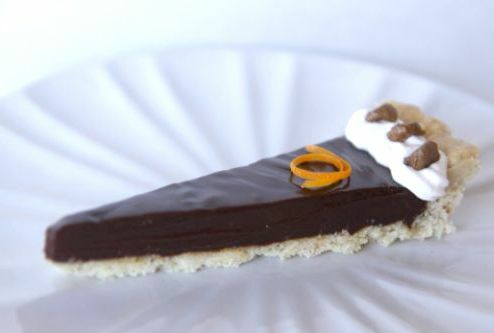 Most of the people who took home slices of this tart are die-hard chocolate lovers, so I expected that they'd enjoy the velvety ganache center, with its richness set off by an undercurrent of bay and high notes of orange. I was surprised and quite pleased to hear that several people were most struck by the crust on this tart, which is entirely gluten-free. Wild amaranth flour and bits of foraged black walnuts come together in this recipe to make a crumbly, salty, shortbread-like bed for the ganache. Because I've used melted butter in this crust, it is far less fussy to get perfectly pressed into a tart pan than the variety which uses cold cubed butter. 1. Finely chop the black walnuts. 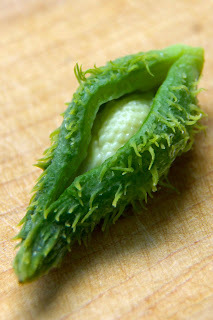 Ideally, they'll end up in small pieces, not be completely crushed into nut meal. 2. In a medium bowl, use a fork to mix the three flours, walnuts, brown sugar, and salt. 3. Pour in the melted butter, and use the fork to evenly combine the ingredients until they resemble wet sand. 4. Use your fingers to press the crust into a 10" tart pan. Use a flat bottomed drinking glass or measuring cup to smooth and even out the crust. 5. Bake the crust at 375 degrees (F) for 15 minutes, or until lightly browned. 1. In a heavy-bottomed pan over low heat, let the cream, orange zest, and bay leaf steep together for 30 minutes. 2. Fish out the zest and bay leaves, then turn up the heat on the cream, and let it barely come to a boil. 3. Remove the pan from the heat, and add the chocolate, oil, and salt, and stir, stir, stir. At first the ganache will look broken and grainy. But as you continue to stir, it will come back together and look glossy. 4. When the ganache looks completely smooth and silky, pour it into the prepared tart crust. 5. Let the ganache set for two hours. Serve it at room temperature with whipped cream. Because it uses wild amaranth flour, I'll be sharing this recipe with Wild Things in November for seed month. Do you have a favorite wild foraged seed or grain recipe that you'd like to share, too? Please send it to wildthings.roundup@gmail.com before the end of the month. Holy cow, perhaps? Lots of cream and butter in this recipe. What? You didn't eat this? Why on earth not???? Not really my kind of dessert. Sometimes it is fun to make something good for the people you love. How did you know to use bay leaf in this recipe? I wonder if she regrets ever having let that word escape her lips? Forget pumpkin pie, heck forget turkey, this is what I want. Tell ya what. You make some turkey and pumpkin pie for me, and I'll make you a ganache tart. Deal? I guess I need new friends, because none of mine cook up stuff like this and then ask me to eat it. Most of my friends are food nerds, and we rarely meet without exchanging some sort of food gifts. This looks like something a restaurant would make, fancy and complicated. Actually, it isn't complicated at all. The crust comes together in minutes, and is very easy to get pressed into the pan. It can even be baked a day ahead. The filling is no-bake, too! 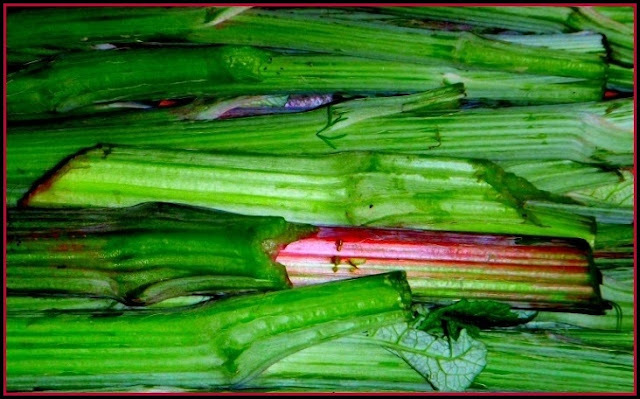 What does amaranth taste like? I had quinoa flour once, and it was terrible, really terrible. Amaranth flour made from the wild grain is just a little bit sweet, but otherwise quite mild. I've had quinoa flour, too, and also dislike that weird metallic taste that it has. Wild amaranth flour isn't anything like that. The only down side to the wild amaranth flour is that the grains are so small that it takes quite a while to gather, grind, and sift enough to make enough to use in a recipe. I promised to share this... and I was very happy to share it with a few GF friends of mine alongside a birthday cake... but I wish I'd saved more for myself! It was heavenly. Well, that settles it. You are officially going to get baked goods for all of your birthdays and major holidays from here on out!